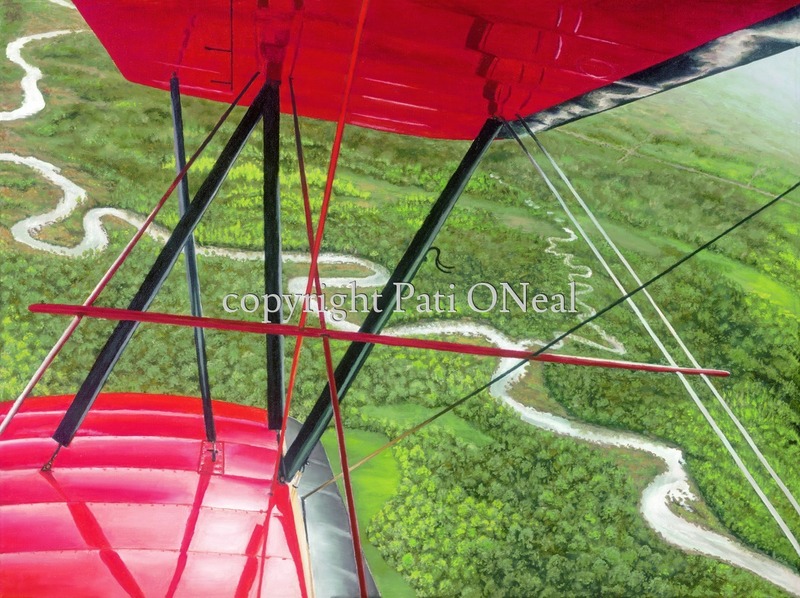 Looking down at the oxbows in the countryside through the wings of a Travel Air. Original oil on linen is available, contact the artist for information. Limited edition giclées and open edition matted mini-prints also available.